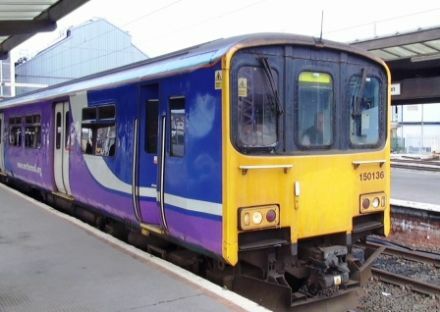 This return cab-ride is aboard a Class 158 (2 car unit) of Northern Rail from Leeds to Selby. 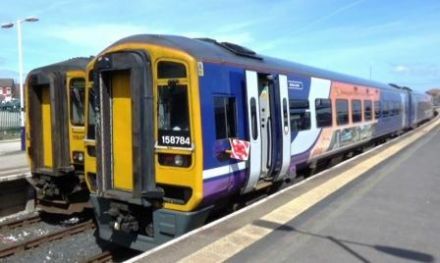 A cab-ride aboard a Class 158 (2 car unit) of Northern Rail from Hull to Sheffield. 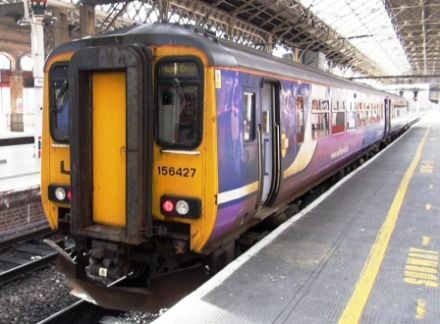 This cab ride journey is aboard a Class 158 2-Car Unit of Northern Rail from Leeds to Carlisle. 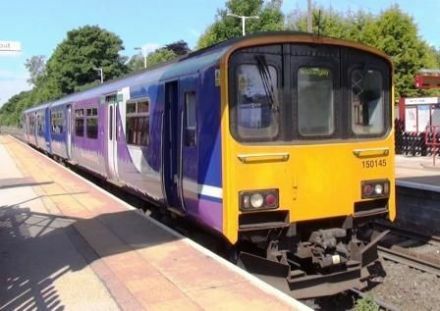 This cab ride journey is aboard a Class 150 2-Car Unit of Northern Rail from Sheffield to Huddersfield. 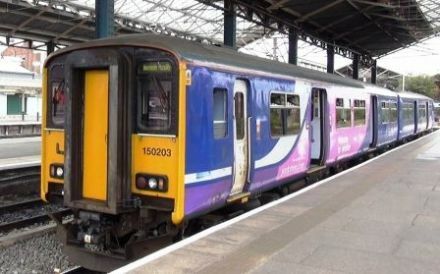 This cab ride journey is aboard a Class 150 2-Car Unit of Northern Rail from Huddersfield to Sheffield. 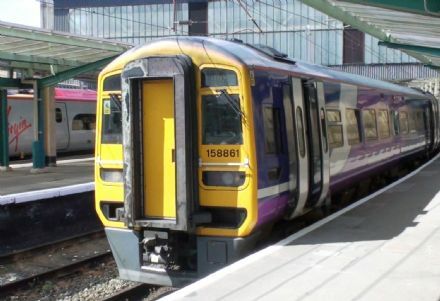 This return cab ride journey is aboard a Class 158 2-Car Unit of Northern Rail from Sheffield to Leeds via Barnsley Interchange. 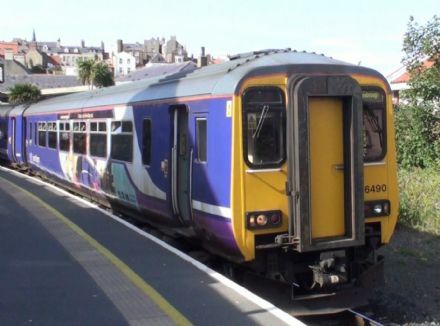 A cab-ride is aboard a Class 156 ( 2 car unit) of Northern Rail from Newcastle to Chathill & return. 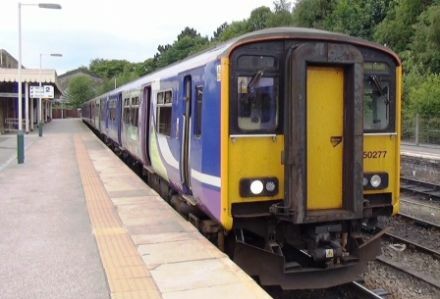 A cab-ride is aboard a Class 142 ( 2 car unit) of Northern Rail from Saltburn to Bishop Auckland. 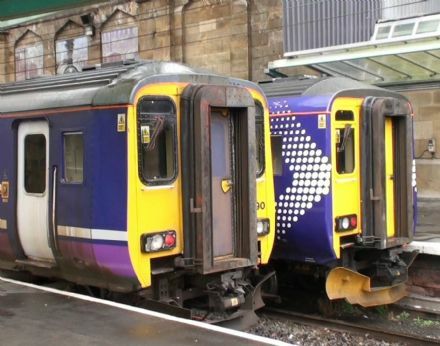 A return cab-ride journey aboard a Class 156 (2 car unit) of Scotrail from Carlisle to Dumfries. 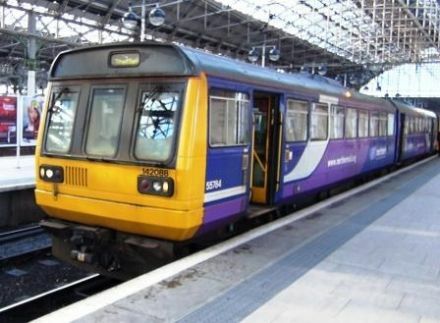 A cab-ride journey aboard a Class 142 (2 car unit) of Northern Rail from Newcastle to Middlesbrough. 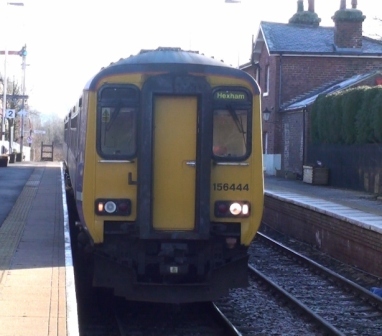 A cab-ride journey aboard a Class 156 (2 car unit) of Northern Rail from Nunthorpe to Newcastle. 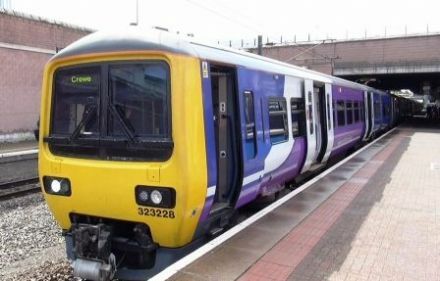 A cab-ride journey aboard a Class 153 (single car unit) of Northern Rail from Doncaster to Sheffield & return. 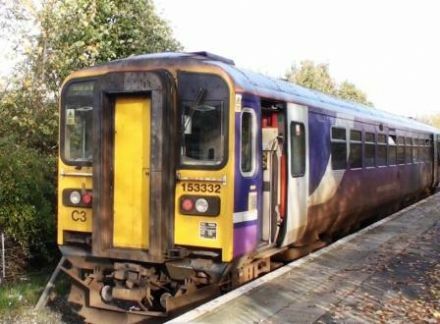 A cab-ride journey aboard a Class 153 (single car unit) of Northern Rail from Sheffield to Lincoln. 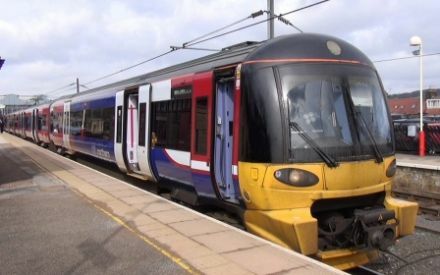 A cab-ride journey aboard a Class 153 (single car unit) of Northern Rail from Lincoln to Sheffield (coupled up to a failed Class 153 unit making journey time a little longer than usual). 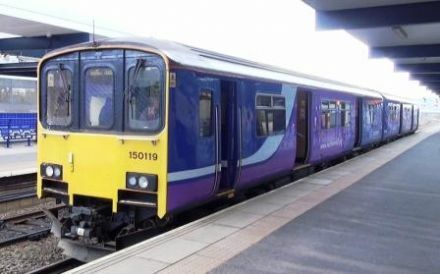 A cab-ride journey aboard a Class 156 (2 car unit) of Northern Rail from Carlisle to Barrow-in-Furness via Workington & Whitehaven. 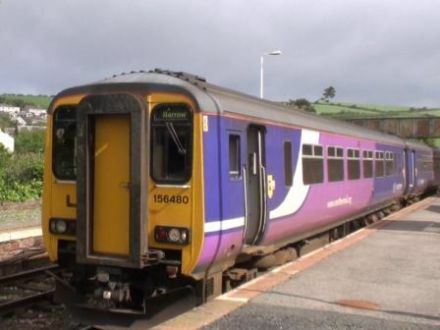 A cab-ride journey aboard a Class 156 (2 car unit) of Northern Rail from Barrow-in-Furness to Carlisle via Whitehaven and Workington. 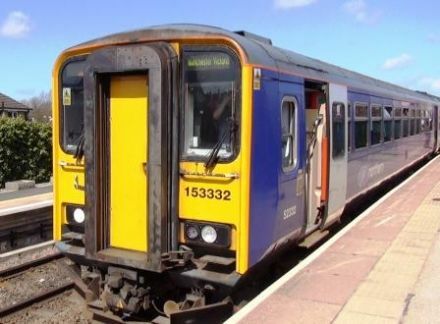 A cab-ride journey aboard Class 153 & 156 (2 car units) of Northern Rail from Barrow-in-Furness to Preston. 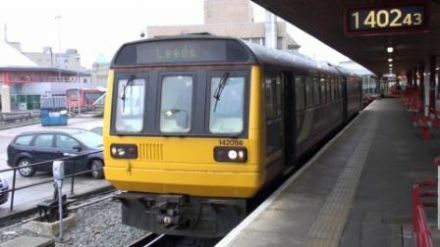 A cab-ride journey aboard Class 142 (2 car unit) of Northern Rail from Leeds to Sheffield and return. 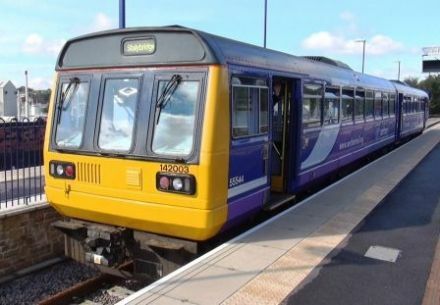 A cab-ride journey aboard Class 153 (single car unit) of Northern Rail from Cleethorpes to Barton-on-Humber and return. 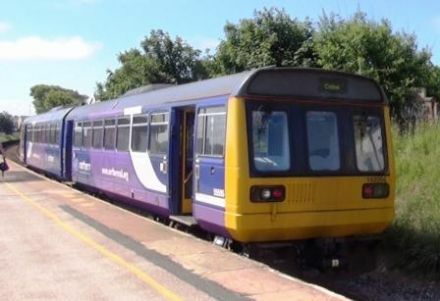 A cab-ride journey aboard Class 142 (2 car unit) of Northern Rail from Blackpool South to Colne. 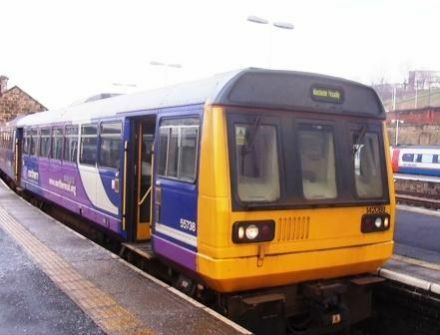 A cab-ride journey aboard Class 142 (2 car unit) of Northern Rail from Preston to Ormskirk & return. 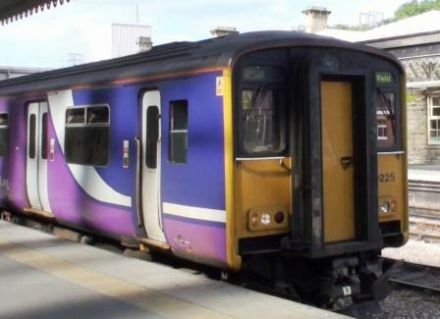 A cab-ride journey aboard Class 156 (2 car unit) of Northern Rail from Liverpool Lime Street to Blackpool North. 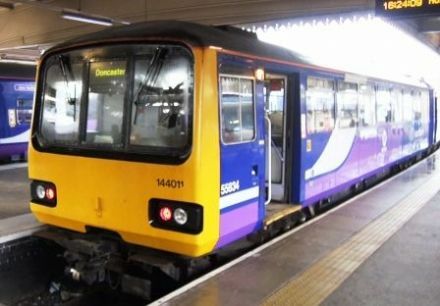 A cab-ride journey aboard Class 142 & 150(2 car units) of Northern Rail from Manchester Victoria to Southport. 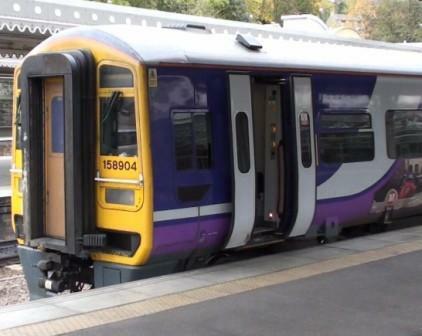 A cab-ride journey aboard Class 150 (2 car units) of Northern Rail from Southport to Manchester Victoria. 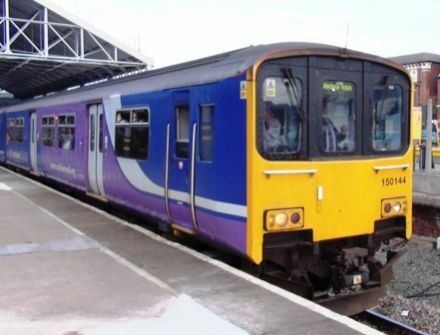 A cab-ride journey aboard Class 142 (2 car units) of Northern Rail from Manchester Piccadilly to Sheffield. 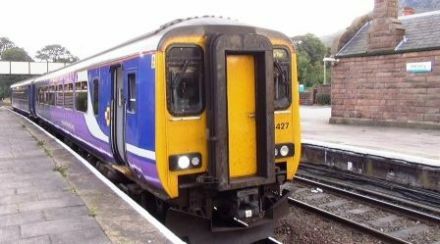 A cab-ride journey aboard Class 142 (2 car units) of Northern Rail from Sheffield to Manchester Piccadilly. 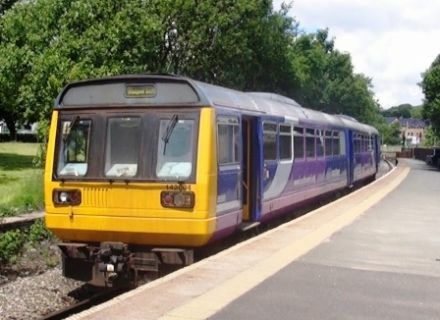 A cab-ride journey aboard Class 142 (2 car unit) & Class 150 (2 car unit) of Northern Rail from Stalybridge to Kirkby. 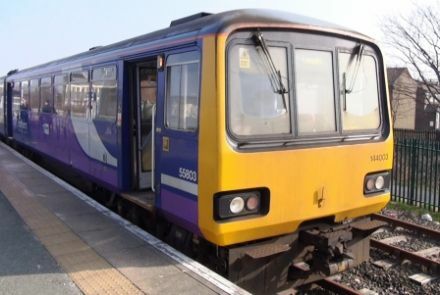 A cab-ride journey aboard Class 150 (2 car unit) of Northern Rail from Kirkby to Stalybridge. 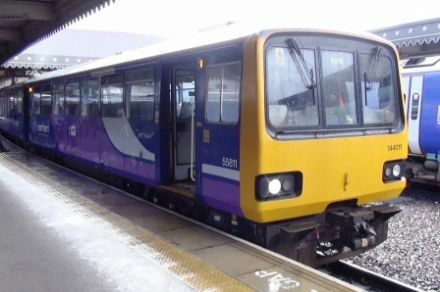 A cab-ride journey aboard a Class 144 (two car unit) of Northern Rail from Leeds to Heysham Port. 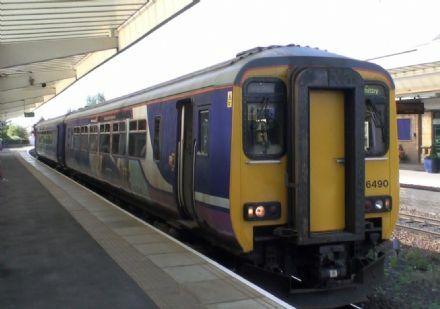 A cab-ride journey aboard a Class 156 (two car unit) coupled with a Class 153 (single car unit) of Northern Rail from Manchester Victoria to Clitheroe. 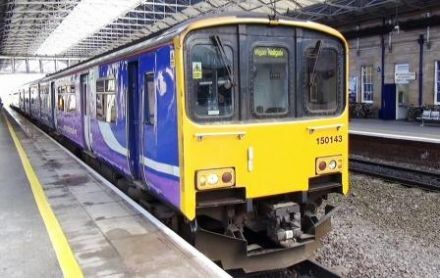 A cab-ride journey aboard a Class 156 (two car unit) coupled with a Class 153 (single car unit) of Northern Rail from Clitheroe to Manchester Victoria. 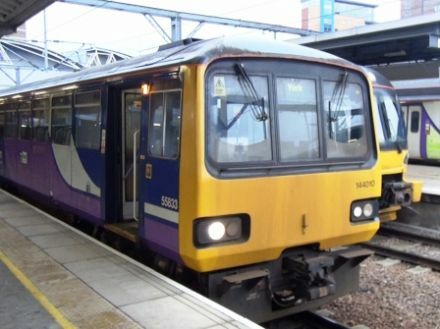 A return cab-ride journey aboard a Class 156 (two car unit) of Northern Rail from Manchester Victoria to Preston returning aboard a Class 142 (2 car unit) ‘empties’. 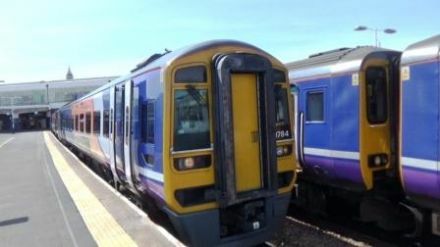 A return cab-ride journey aboard a Class 322 & 333 (4 car units) of Northern Rail from Leeds to Ilkley and Bradford Forster Square. 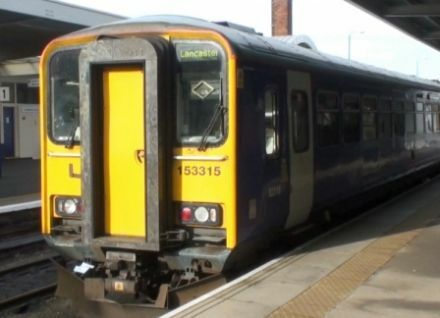 A cab-ride journey aboard a Class 156 (two car unit) of Northern Rail from Barrow-in-Furness via Hest Bank to Morecambe then on to Lancaster (aboard a Class 144 2 car unit). 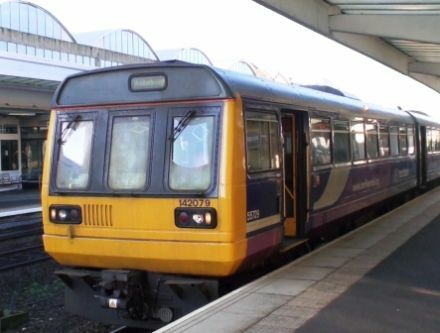 A cab-ride journey aboard a Class 144 (four car unit) of Northern Rail from Leeds to Harrogate and York then return. 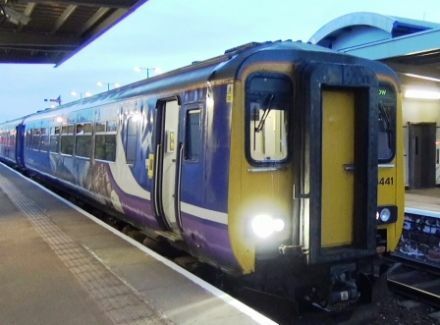 A cab-ride journey aboard a Class 150 (2 car unit) of Northern Rail from Preston to Hellifield. 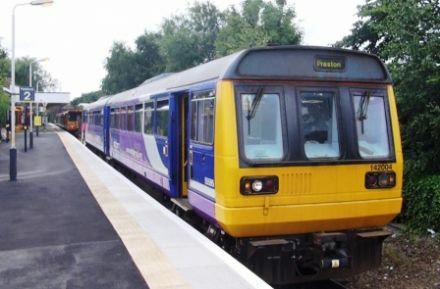 A cab-ride journey aboard a Class 150 (2 car unit) of Northern Rail from Hellifield to Preston. 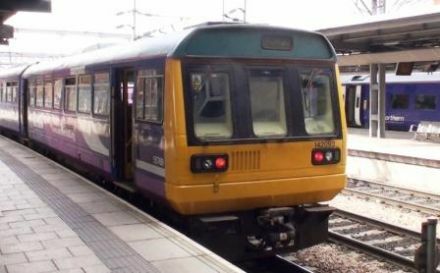 A cab-ride journey aboard a Class 144 (2 car unit) of Northern Rail from Sheffield to York. 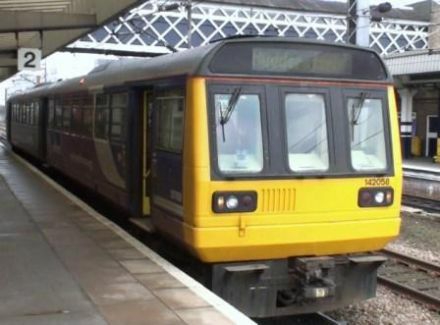 A cab-ride journey aboard a Class 144 (2 car unit) of Northern Rail from York to Sheffield. 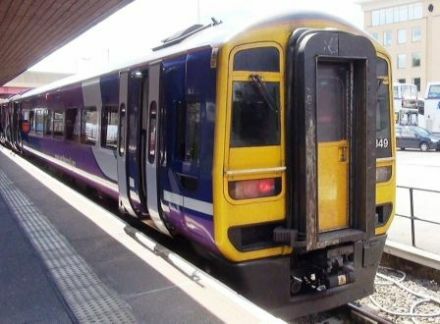 A cab-ride journey aboard a Class 158 (2 car unit) of Northern Rail from Leeds to Preston via the Burnley Branch. 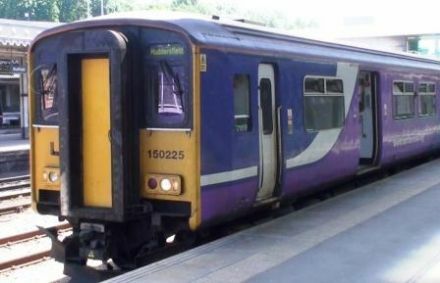 A cab-ride journey aboard a Class 158 (2 car unit) of Northern Rail from Preston to Burnley Manchester Road then via the Burnley Branch to Hebden Bridge, Halifax and Bradford Interchange. 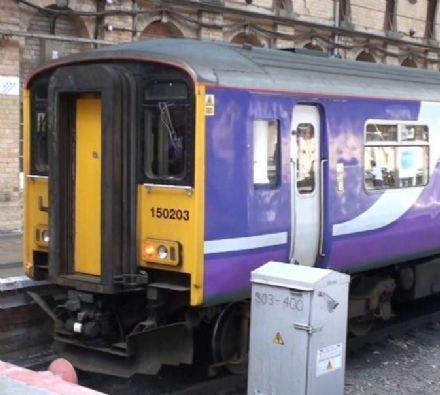 A cab-ride journey aboard a Class 150 (2 car unit) of Northern Rail from Manchester Piccadilly to Buxton & return. 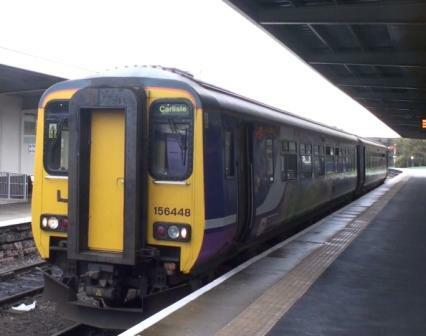 A cab-ride journey aboard a Class 158 (4 car unit) of Northern Rail from Leeds to Carlisle. 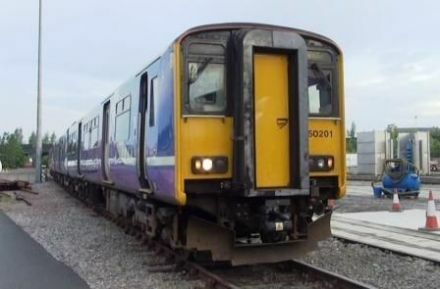 A cab-ride journey aboard a Class 323 (3 car unit) of Northern Rail from Manchester Piccadilly to Glossop reversing to Hadfield then reversing to Glossop before the return journey to Manchester Piccadilly. 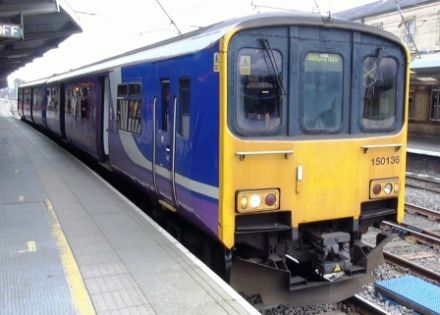 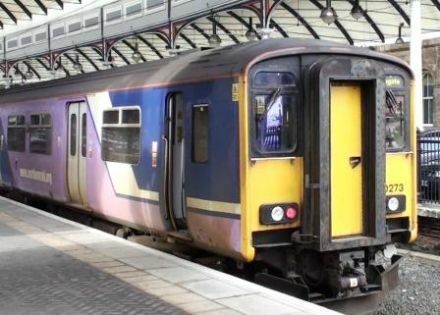 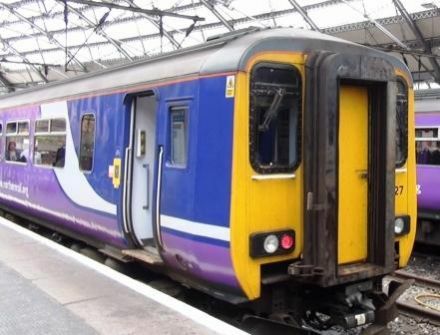 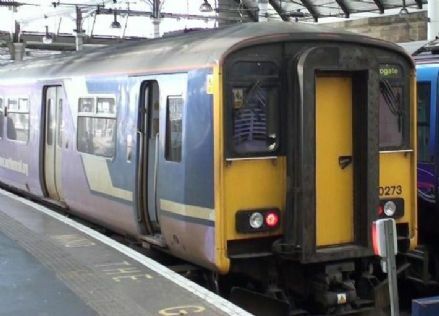 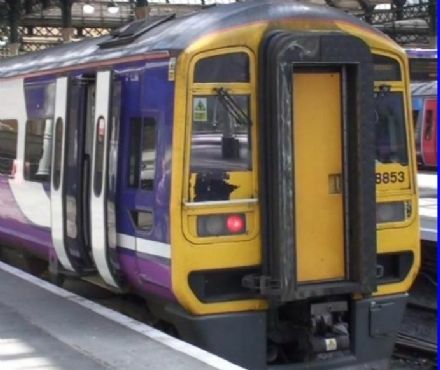 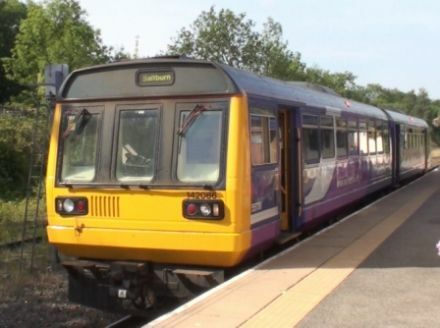 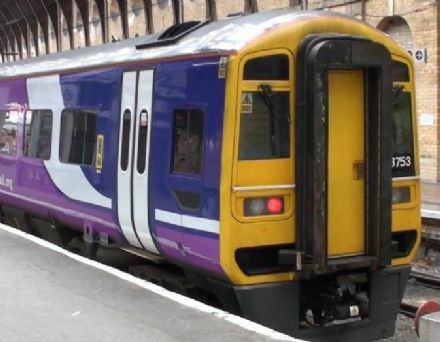 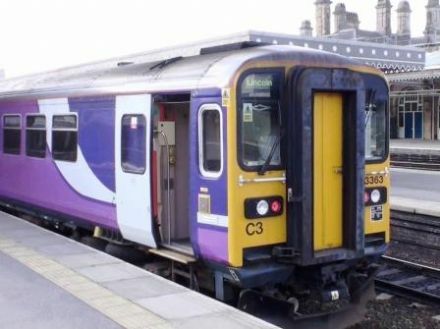 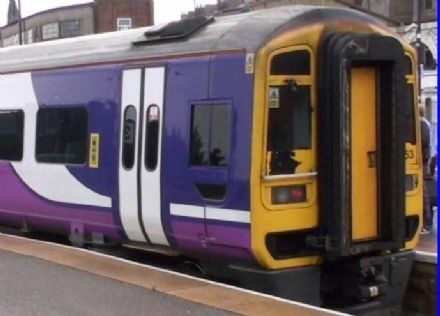 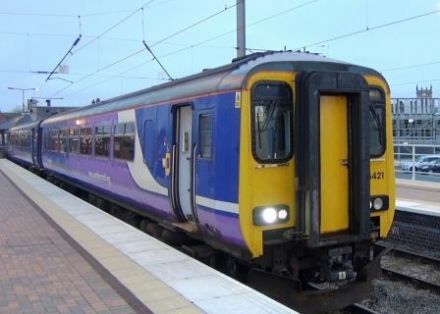 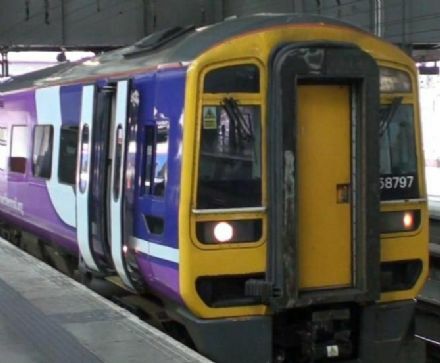 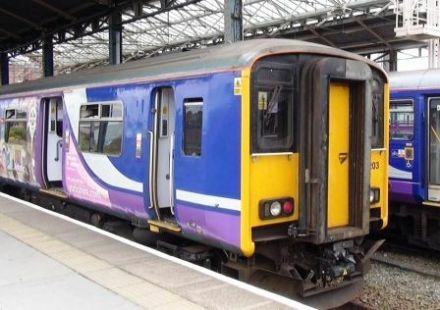 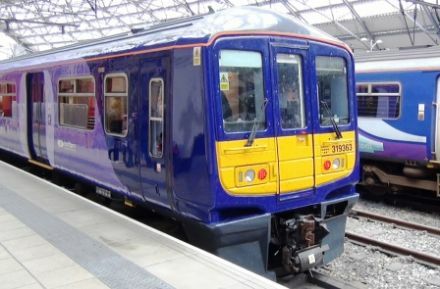 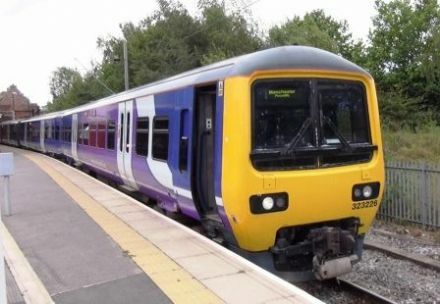 Two cab-ride journeys – firstly the ‘Parliamentary – once a week train’ aboard a Class 142 (2 car unit) of Northern Rail from Stockport to Stalybridge then a return cab-ride journey aboard a Class 142 (2 car unit) from Manchester Piccadilly to Rose Hill. 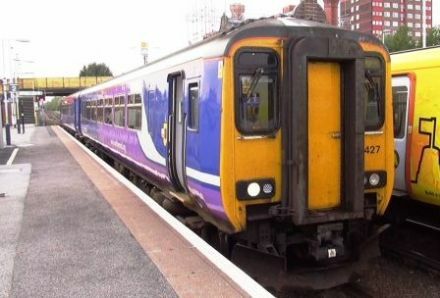 A cab-ride journey aboard a Class 150 (2 car unit) of Northern Rail from Chester to Manchester Piccadilly. 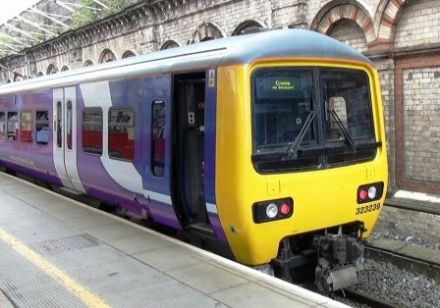 A cab-ride journey aboard a Class 323 (3 car unit) of Northern Rail from Manchester Piccadilly to Crewe via Stockport returning via Manchester Airport. 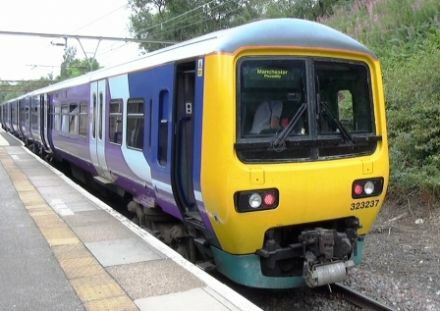 A cab-ride journey aboard a Class 323 (3 car unit) of Northern Rail from Manchester Piccadilly to Crewe via Manchester Airport returning via Stockport. 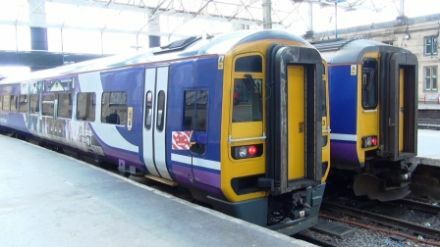 A return cab-ride journey aboard a Class 323 (3 car unit) of Northern Rail from Manchester Piccadilly to Stoke-on-Trent. 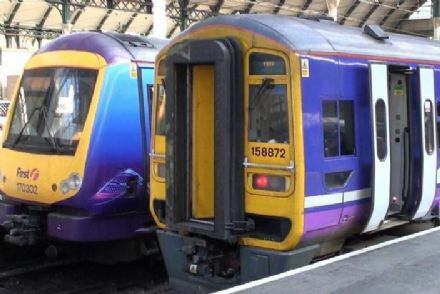 A cab-ride journey aboard Class 150 & 156 (2 car units) of Northern Rail from Liverpool Lime Street to Chester as (empties) then as (empties) to Helsby & Ellesmere Port. 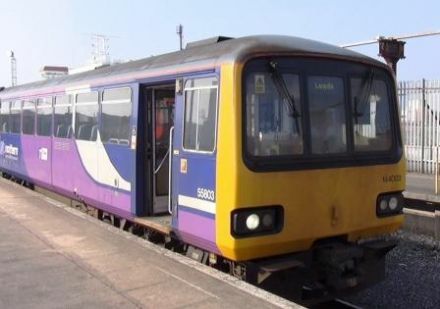 A cab-ride journey aboard a Class 156 (2 car unit) of Northern Rail from Ellesmere Port to Liverpool Lime Street. 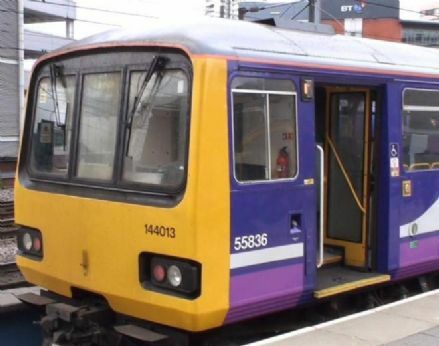 A cab-ride journey aboard Class 150 (2 car unit of Northern Rail coupled with a Class 153 single car unit from Holbeck Depot (Leeds) before the start of service to Goole then as a passenger service from Goole to Knottingley, Castleford & Leeds. 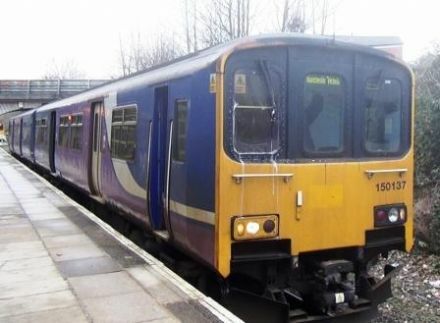 A cab-ride journey aboard a Class 150 (2 car unit) of Northern Rail from Leeds to Knottingley & Wakefield then a Class 158 (2 car unit) express back to Leeds. 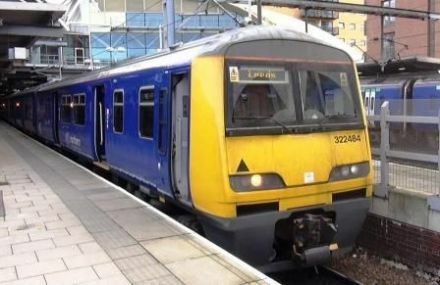 A return cab-ride journey aboard a Class 322 (4 car unit) of Northern Rail from Doncaster to Leeds. A cab-ride journey aboard a Class 150 & 142 units of Northern Rail from Manchester Victoria to Wakefield Westgate via Stalybridge & Huddersfield. 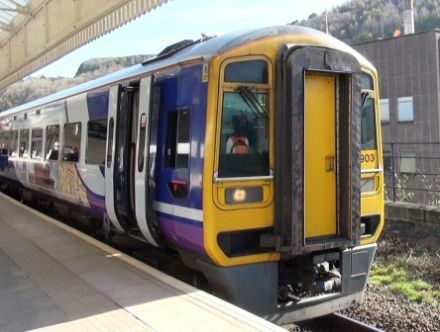 A cab-ride journey aboard a Class 158 (2 car unit) of Northern Rail from Blackpool North to Leeds via Blackburn & Hebden Bridge.